On 14 April 2018, the Papuan Women’s Working Group (PWG) submitted a paper to Hilal Elver, the UN Special Rapporteur on the Right to Food, who visited Indonesia on 9-18 April 2018. The visit aimed to collect information on government policies that are affecting people’s lives, especially their right to food. One PWG member had an opportunity to deliver the PWG’s recommendation during the meeting of the Special Rapporteur with NGOs. The recommendation was based on PWG’s research findings on the loss of sources of livelihood and food resilience for Papuan women. From the meeting, it is clear that the Indonesian government has been adopting policies to achieve national food security as a way to solve issues of hunger, poor nutrition, and food imports into the country. The policies have resulted in increased food production, particularly rice and corn as the common staple foods in Indonesia. However, this has also had a negative impact on citizens who do not consume rice and corn daily, such as indigenous Papuans. 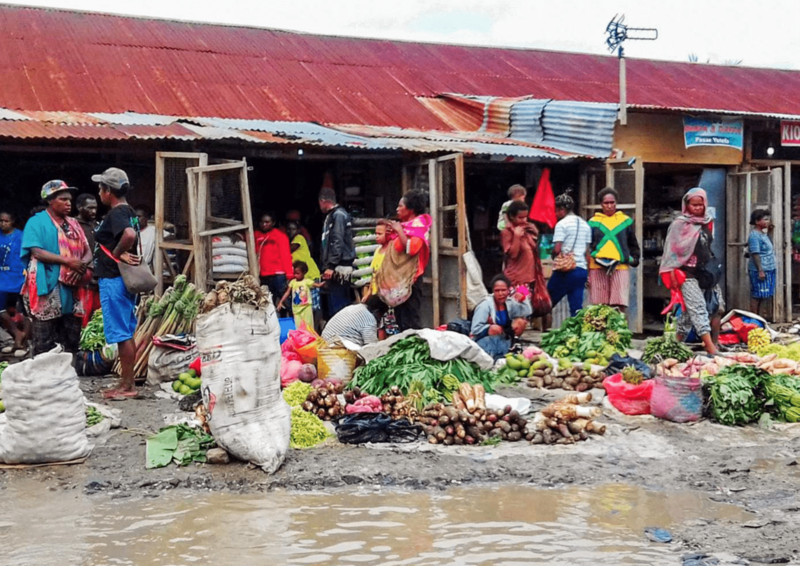 Access to their own staple foods such as sago and yams becomes threatened, particularly after the government has issued licenses to companies for large-scale land acquisition. Health problems and gender-based violence are two other important issues that were identified at the meeting. In other words, implementation of the policies did not focus on promotion of a more diverse and healthy diet, nor did the policies demonstrate sensitivity to the local traditions and values that comprise different food cultures. The UN Special Rapporteur has released her initial observations on the visit and provided some key recommendations to the government of Indonesia. These include: (a) diversifying its policies on food, as the current policies do not provide a long-term solution for food security and nutrition and do not promote sustainable farming practices; (b) resolving issues related to land ownership; and (c) ensuring that business activities, particularly the big oil palm plantations and mining activities, comply with Indonesian law and international human rights standards.